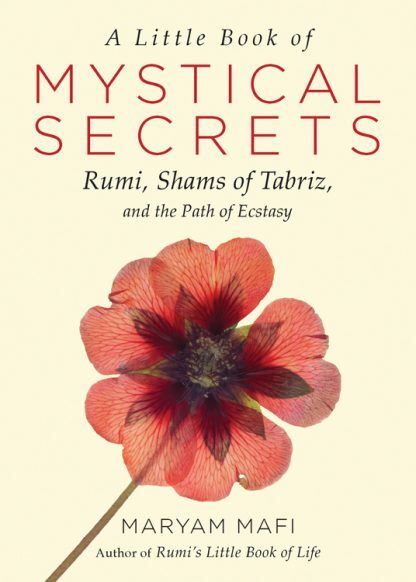 At long last, an accessible little book that focuses on the teachings of Rumi�s teacher and inspiration, Shams of Tabriz. Included in this slim, charming volume is a biographical sketch of the great Sufi teacher and mystic and a new translation of 500 of his core teachings that bring into fresh focus the meaning and mysteries of life and love. There are many books on Rumi and many translations of his works and yet most readers are unaware of how Rumi became a mystic. Shams, an Arabic word that means the sun, was the catalyst that converted the rather resolute and ascetic Rumi, the cleric and teacher, into Rumi, the passionate disciple of the religion of love. He was the agent of the propulsive mystical energy that transformed Rumi the reticent into Rumi the ecstatic poet. Rumi lovers, spiritual seekers, and devotees of the mystical path will meet this little book of wisdom and mystical secrets with enthusiasm. For you may get hurt by its wounds. expose you to the ridicule of common men. so that you may become one with my breath. Narguess Farzad is a senior fellow in Persian studies at the School of Oriental and African Studies at the University of London.